So the guy who came up with WiFi, Expedia, Exterra tells all about the importance of naming. Is a good name a important to success? What about bad names? They highlight the name iPod as a bad name, but the product is so awesome it didn’t matter. I’m about half-way through this video, and it actually has my attention (as you know, this is a big deal if you can keep my attention). So … before I have to go out and this post falls into the “almost done” status … I’m just going to post because man, this is too interesting not too! 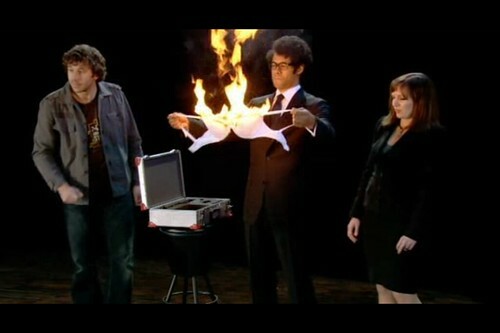 Posted on PodTech.net: Blog – Blog Archive – Just wha’ts in a name? A lot listen to Scoble talk with Edward Saenz (found it by reading the PodTech.net blog RSS feed at RSS2.com). 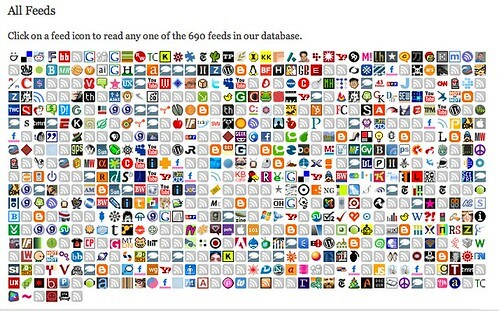 You can now see stats for each feed on RSS2.com and grab the HTML code to embed a neat small badge that shows you how many times the feed has been read on RSS2.com, how many people have favorited it and how many items are available to read on RSS2.com. The badges are displayed at the bottom of every feed page. 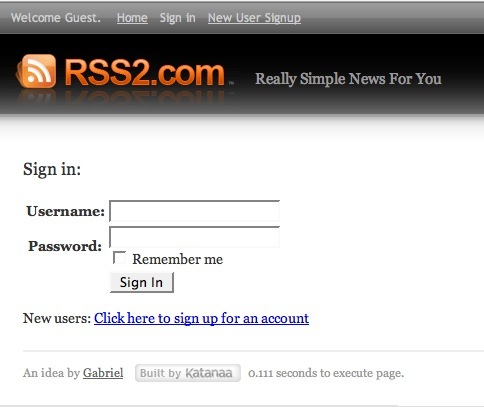 I just added another nice feature to RSS2.com: Persistent user sign in. This means that you won’t have to keep on logging in every time you restart your browser. Click the “Remember me” checkbox to stay signed in for the next 100 days. This will become more important as new user-focused features are added to the site.